Until now, choosing a digital camera has meant a tradeoff between size and functionality. The feature-packed, high-resolution SLR replacements were too big to tuck in a pocket or purse, and the ultracompact models lacked the extensive manual controls many advanced photographers desire. With the D-40, Olympus has bridged the gap between portability and power--it's one of the smallest digital cameras on the market, yet it includes virtually all of the advanced features found on full-size models. Compared to an ultracompact like the Canon Elph, the D-40 is the same width, about half an inch taller, and three-fourths of an inch thicker--still small enough to easily slip into a jacket pocket, and less than half the size of most compact models. Despite the tiny dimensions, Olympus packs a 4-megapixel sensor, 2.8x optical zoom lens, full manual controls, and a movie mode with audio into the camera's small plastic body. The trademark Olympus sliding clamshell cover turns the camera on and off, and also protects the lens, viewfinder, and flash when closed. Images are stored on SmartMedia cards. A 16 MB card is included, which holds 16 images at default settings. If you want to take advantage of uncompressed mode and movie mode, or plan to take more than a handful of photos at a time, you'll want to get a 64 MB or 128 MB card. Like virtually all Olympus cameras, the D-40 has a flexible battery arrangement, accepting either a disposable lithium battery (one is included), or a pair of AA batteries (rechargeables strongly recommended). This is a camera you won't quickly outgrow. If you're just getting started in photography, leave the camera in Auto. In this mode, taking pictures is as easy as sliding the lens cover open and pressing the button. As your photo skills progress, you can start taking advantage of the camera's advanced modes, including shutter priority, aperture priority, and full manual modes, plus manual focus, slow-sync flash, spot metering, manually adjustable white balance, exposure compensation, and more. The D-40 also comes with a remote control, making it easy to include yourself in group shots and it allows you to keep the camera steady in low-light situations. For a break from taking pictures, spin the control knob to movie mode and you're ready to shoot mini-videos with sound. Though they don't have the resolution of camcorder movies, these clips of up to 30 seconds are perfect as e-mail attachments. When it's time to transfer the images to your computer, the D-40 is a breeze to use. Connect the included USB cable between the camera and your computer, and the operating system (Windows 98 or newer for PCs, OS 8.6 or newer for Macs) will automatically detect your camera as an external drive, making picture transfers drag-and-drop easy. Finally.. a high resolution pocket size digital camera! 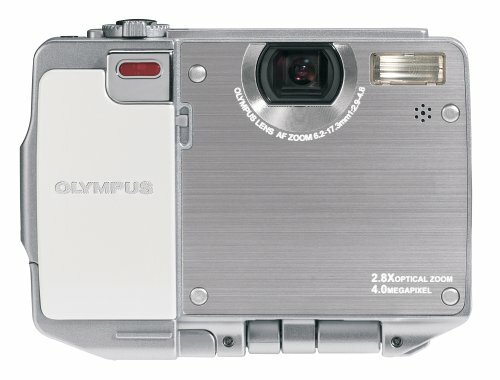 I've used Olympus point-and-shoot cameras for years, starting with the XA. Though my 'main' camera is a Nikon F3, over the years I've opted to carry the small Olympuses for travel. If it can't fit in my pocket or purse, it doesn't go! Battery life has not been a problem - I've run several hundred photos through the camera and am still on the original battery. I don't however use the viewer much - I save battery life by downloading photos to the PC rather than viewing and editing them in the camera. Nevertheless, purchasing the rechargeable batteries is recommended in the long run. I was looking at the Nikon CoolPix 990 and 995 before this camera was released. Though the quality and durability is very good, I was put off by the larger body size and weight of the Nikon (if it's not small, it will probably be left in the drawer more often than not). So if you're in the market for a digital camera and need small size, high picture quality with enough features 'headroom' to allow a high degree of control over the image, you should definitely consider the Olympus D40Z. I concur with the first two reviewer's comments, generally. The camera takes excellent, clear, vivid pictures and is very small (not as tiny as the Canon digital Elph line, but the small Canons are currently only at 2.1 MP). Although you don't have to be a genius to figure the camera out, ease of use is not the camera's strong point. Icons and menu labels don't make immediate sense; you must read the manual (PDF format on the CD -- no print version!) to understand what the menus and dial-mode positions do. Though the controls are complex, they're also deep and feature-rich. The camera gives an Auto mode, a Program mode, Shutter priority, Aperature priority, and full Manual modes, and automatic scenery, portrait, and people-in-front-of-scenery modes. Macro mode and night-time mode are also on the dial for quick access. Olympus includes an infrared remote control in the package (nice not to have to go buy one separately). The 30-second movie mode works fine, but don't think of it as a substitute for a camcorder--the microphone doesn't work that well. It is a mystery to me why Olympus chose to use a proprietary battery size. The included NON-rechargeable lithium battery is about the same size as two AA batteries, and you can use two AA batteries in place of Olympus-brand lithium batteries (which, yes, do cost $10 each). Ni-MH rechargeable AA batteries are the cheapest solution in the long-run; the camera chews up Alkaline batteries like crazy, and lithium AA batteries are about as expensive as the Olympus-brand battery, per picture. Note: you can't recharge your Ni-MH AA batteries inside the camera; you must have a separate charger. Silliness. But not so silly that I wouldn't recommend the camera. I'm happy I bought it. Last item: I use Windows XP Home, and I tried hooking up the camera to my computer via the included USB cable. It worked the first time, but it crashed my system the second and subsequent times. This might just be my fault, but I can't be sure yet. 1: Olympus gives the best results when you print your fhotos(in an average quality... printer like HP-920). Simply you cannot tell the difference from a hi-quality film camera. 2: If you like the quick "point and shoot" photography without tripods and professional settings, the camera is amazing and the zoom is just what you need. It takes clear and sharp pictures. The camera of course has noumerous settings and capabillities but it works fine in auto mode. Just turn it on and shoot. 3: The camera is the smallest by far in 4 megapixels. You can have it always with you, everywhere, even in your shirt pocket. 4: Real plug and play. Just plug it into a USB port and that's it. No drivers no CDs...Just drag and drop like a hard drive. With the 128 MB SM card you can cary more files than a 100 MB zip drive. Yes I use it to copy and transfer files. 5:It gives you for an extra the pixel-maching technology. You never know when you could need this, but other brands, more expensive cameras, still haven't it. 6:Yes, it drains batteries fast but not faster than the other models by Olympus, if you take into consideration that it takes only 2 AAs. So you have 2 more for spare. 5 stars with no doubt. And remember : SIZE ALWAYS COUNTS. Terrific, easy to use camera. 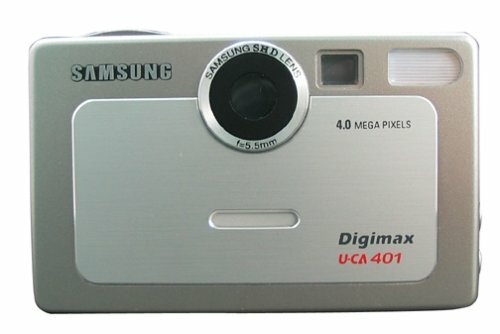 This was my first digital camera, which I used constantly for the three years I owned it. I loved it and I shouldn't have been so eager to "upgrade" (I recently, and foolishly, switched to the Sony T1). For the price this camera is being offered at on Amazon, you can't go wrong, even if they are used. You won't be disappointed with the D40. The Dimage F200 is a stylish 4.0 megapixel camera that can go anywhere you do. While the sophisticated automatic functions make photography simple, The Dimage F200 is also packed with functions that allow total control over image making. 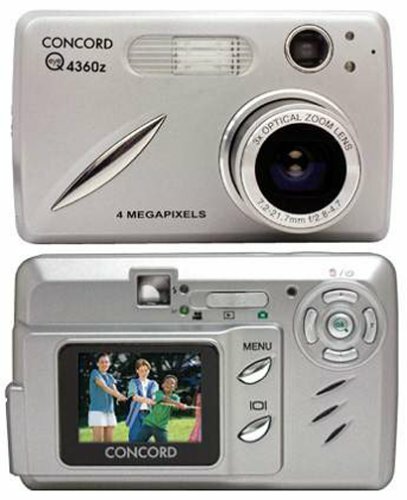 Features include a 4-megapixel resolution, 3x optical zoom, and digital video that's limited only by your memory card. Employing the technology from the top-of-the-line Dimage 7Hi, the F200's high-precision electro-optical system is designed to maximize image quality. The system is built around a 4.1 megapixel interline primary-color CCD with 4.0 million effective pixels for fine high-resolution images and print enlargements up to 11 x 14 inches. The sophisticated eight-element, seven-group 3x optical zoom lens design is only 24mm long--less than an inch when retracted. With a focal range of 7.8-23.4mm, it is equivalent to a 38mm-114mm on a 35mm camera. It can range from wide angle for landscapes and interiors to telephoto for intimate portraits and details of distant landmarks. The zoom lens also employs three aspheric elements to ensure sharp, contrasty images at all focal lengths. The Dimage F200's digital zoom seamlessly takes over from the maximum focal length of the optical zoom without interrupting the monitor image. The digital zoom can extend the optical zoom's performance by four times in 0.1x increments giving the F200 an equivalent a 456mm lens on a 35mm camera. The combined optical and digital zooms give this compact camera an amazing 12x zoom range. Images can be stored on either Secure Digital (SD) or MultiMedia (MMC) memory cards; a 16 MB SD card is included. Download image files to either a Mac or PC via USB connectivity, including any USB-based Windows Me/2000/XP and Mac OS 8.6 or later computer without installing any software. The Dimage F200 is not limited to recording still images. Video with audio can be captured at either 160 x 120 or 320 x 240 pixel resolution. The length of movie clips is only limited by the memory card capacity. The new Direct Video function allows the camera to be connected directly to a VHS or DVD recording deck. The audio recording mode records up to 180 minutes of audio. Voice memo allows up to 15 seconds of audio to be attached to an image when it is captured. The audio-caption function can attach an audio track to any recorded still-image. The audio tracks can be played back in the camera. Two copy functions allow image files to be duplicated in camera. An improved e-mail copy function allows a still image to be copied and resized to 640 x 480 or 160 x 120 pixels so that it may be attached to an e-mail message or posted on the Internet. The standard copy function makes a direct copy of a file onto the same or another memory card. White balance controls how the camera interprets the color of the ambient lighting. Auto white balance compensates for changes in lighting automatically. Four preset white-balance settings, daylight, cloudy, tungsten, and fluorescent, can be selected for specific light sources. And for critical control over color, the custom setting allows the camera to be calibrated to the lighting conditions at the scene. All the camera's white balance controls are available for movie recording. Built-in flash with auto, red-eye reduction, and fill flash modes. Three metering modes: multi-segment, center-weighted, and spot. Four exposure modes are available: program, aperture priority, shutter priority, and manual. Camera sensitivity can be set to auto or to one of four ISO equivalent levels: 100, 200, 400, or 800. This is the best camara I have tested. I have been testing diferent digital camera like Kodak, Fujifilm, etc. and the Dimage F200 is the best I have tested. I have not tried completely the camera, but this camera has many options that don't have other conventional digital cameras. I dont finish to read the manual. Slideshow is very useful if you plug it onto the TV, and you can record a 15 seconds commentary for a picture. It is a very great choice if you are finding more that a symple digital camera. It is a highly recommended camera. Hidden gem, the REAL Best Buy! I had to make a choice between the F300 and the F200. - Outstanding macro pictures, SUPER macro mode! - Information display on top of camera with battery meter! - Higher than average noise from ISO400. Despite of the lack of an AF-assist lamp, the flash is quite strong! I don't really need that lamp. On my S400 the camera took the same quality photos without the lamp as with the lamp. - However, S400 took a bit better pictures in low-light. But the F200 is still better than average. Much better than the Sony P-series. I was afraid from the slowness of the lens. Doesn't really a matter, believe me! It is acceptable, don't let you fooled by some negative reviews about how slow the F200 is. This is NOT THAT BIG PROBLEM, believe me. Reviewing images is fast and a pleasure. Slideshow has many settings, it is very useful if you plug it onto the TV. I can record about 15-20 mins at the 320 res. and 40-45 mins at the 160 res. movies on my 256 Mbyte SD-Card. A REAL PLEASURE! One of the big problems was that the F100 get turned on accidentally. This is not with the F200. It's build quality is strong as it can be! All in all: a great camera, I just simply cannot give it a lower mark than a five. It's not only good for point & shooters, it is a super choice for serious amateurs also since it has aperture, shutter priorities, manual white balance and EVERYTHING. Kodak's 4-megapixel LS443 is so feature-rich and easy to use that it has the potential to appeal to nearly anyone. 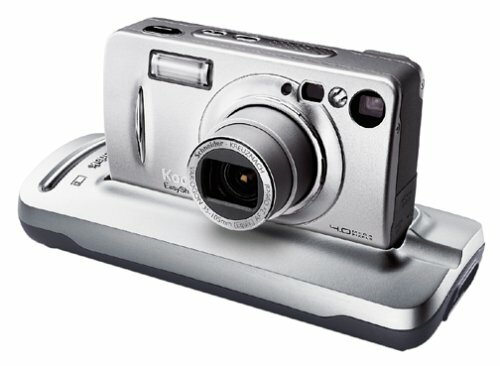 Kodak also includes a docking station that serves as a battery recharger and as an easy connection to the PC that lets beginners upload shots to the computer. Working in conjunction with the docking station, the EasyShare software enables you to easily print, e-mail, organize, and edit pictures. In testing, we were able to adjust everything from the white balance and ISO settings to focus zones and exposure controls. Beginners can simply set everything to automatic and snap away. Either way, the camera takes clear pictures with true colors, and close-ups look particularly good. However, taking quick action shots is virtually impossible because of the camera's relatively slow reaction time. The delay between pressing the button and the shutter release is long enough that we had to carefully anticipate every shot, and the recovery time as the picture is processed makes taking a quick follow-up shot impossible. Unfortunately, the camera's aggressive compression scheme robs large images of their quality. The LS443's highest-resolution setting yields pictures with enormous dimensions that are squashed into 1 MB JPEG files, resulting in a multitude of compression artifacts when images are viewed at full size. The good news is that the large pictures look fine when scaled down to smaller sizes. Unfortunately, Kodak doesn't include a low- or no-compression option. I previously used a AOL Photo Cam Plus and was very happy with it, but upgraded to Windows XP and had compatability issues with the Photo Cam. So I gave that camera to my niece and bought the Kodak LS443 for myself. I love it! It is very user friendly and the docking station is a real plus. You download your pictures into the computer with one push of the button, and your camera recharges at the same time. I have had NO PROBLEMS with the EasyShare Software...and find it wonderfully easy to email pictures to friends. I am very happy with this camera--it's lightweight and convenient. I did purchase a 128MB MM Card for it so I can take lots of pictures, and I plan to purchase another lithium battery for backup. I haven't used the video feature, but am looking forward to that. Great picture quality....the difference between these pictures and my old digital pictues is astounding. I'm not a camera expert or a techie--which says a lot for this camera....it's made for everyone. Great buy! i've just spent the last 30 min. reading other peoples reviews and am astonished that i am not the only one who has been experiencing problems with my kodak ls443 soon after its 1 year anniversary of purchase. i was taking pictures easily one minute- and NO the camera was NOT DROPPED OR MISTREATED- and the next minute the screen goes completely blank. i can still see the menu startup so i am thinking it is a software issue. tried to download the latest firmware and still the camera refuses to cooperate. kodak customer service is just intolerable. My husband gave me my camera in March 2003. In that time I've taken some wonderful pictures, including spectacular close-ups of flowers and insects with the close-up feature. I've got two extra memory cards and can hold more pictures that my battery can handle. I stopped using the Easy Share software when all my computers started running XP and I can connect the camera directly to it. And in low-light situations, it does a pretty decent job. For long-distance (high zoom) photos, I recommend a tri-pod and the delay-snap feature. Like others, I had the problem with the lense not coming out and sounding like stripped gears, but as it was still in warranty, Kodak fixed it without question and I had it back within a couple of weeks of shipping it to them. One major issue that I have is that I'm on the second battery. While they last for many shots and recharge nicely, they sometimes stop recharging after a few months. The first battery lasted a whole year. The second lasted only three months. Not good to have happen on a trip to the mountains! I don't know if it's because of connecting the battery directly to the wall instead of through the docking station, or just a failing battery. Moral: have a second battery on hand. Amazon sells them cheap. Overall, it has been a good buy for us, though, and I rarely go anywhere without it. With this camera you can: -Print so good images, depending of your printer, paper and printer settings. -Take excellent closeUps without search for professional results. -Capture video to get fun. Also you don't care about the battery with the camera dock. The one-press/one-click function it's easy to save the pictures in the computer. If you don't want to pay too much money, this is the choice. I bough this camera about 18 months ago, and like many people had the problem where the lens wouldn't come out and it displayed Error #45. It was 3 months outside warrantee, but I contacted Kodak via their web site, and now I have a new camera (without any trouble). I believe the problem is caused by the selector getting knocked and the lens being forced out in an enclosed space. This seems to have been improved on the one I have now. I've never owned a digital camera, nor am I anything but an extremely amateur photographer, but our first grandchild was coming, so I began doing a lot of research in consumer's magazines and at technical review websites. 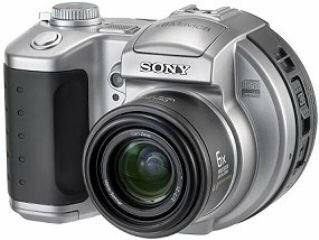 I narrowed the choice down to three cameras: The Sony S85, the Olympus C4000, and the Nikon CoolPix 4300, all of them 4 megapixels. After playing around with all three models, I finally went with the Sony S85 -- and I have not been disappointed. It's both simple enough for a camera novice like me to be able to take good pictures almost right out of the box, yet flexible enough (with the full manual control option, etc) to allow me to learn and to work up to a more advanced level. The controls are pretty intuitive -- for anyone with computer experience, anyway -- and the viewscreen is large and bright. It's also "camera-shaped," not a radical new design, which feels more at home when I hold it, and it's large enough to allow my rather large hands to wrap around it. (The Canon Elph is a nice little camera, but for me it's like trying to type on a cell phone keypad.) After six months and some hundred of images, I can recommend this camera unreservedly. I've had this one for seven months now, this is my fifth Sony digital camera, I've loved each one, but systematically upgraded in resolution (1, 2, 3, 3 again, now this 4 megapixel). The quality of the photos continues to amaze me. I've taken shots in complete darkness, only relying on the AF illuminator to view my subjects, the flash makes the photo look like it was taken in daylight. The size of the LCD makes reviewing photos easy for older relatives, they don't have to squint like some of the other P series Cybershots. The memory stick that comes with it, a 16 mb is not enough if you plan on taking good resolution photos. Invest in a 128 mb, you can usually find them for under $50. The battery life is solid, I always take shots with the LCD on, and I still get enough life to take 300 shots before needing a charge. My father-in-law is using a Nikon Coolpix 885, and is going to get rid of it to buy a DSC-S85. The Nikon has horrible indoor quality, the flash is weak, and it has a pinkish red hue to most shots. Though now discontinued, we found him a DSC-S85 from Circuit City where they searched the company-wide inventory to find a store who had it in stock. Circuit City has been the best retailer for my needs, their staff is always friendly and they don't jam that extended warranty down your throat like Best Buy does. I was tempted to look into the new DSC-V1, but I don't really think 5 megapixel is necessary for anyone who prints 8 x 10's as the largest size. Also, at $699, that's a bit pricey compared to the $449 for the DSC-S85 (if you're lucky enough to find any more). I've always been a Sony fan, and this camera will make any photographer get hooked on Sony products. Go buy this camera! Here's my review. The image quality is excellent. There is very good color balance. I also like the excellent battery life (This is true for Sony products). It's easy to transfer images to the PC using USB. It has a very good lense (Carl Zeiss). The menu is user friendly. The slight drawback is speed of operation. This may be true for most digital cameras. It's difficult to take good action shots as there is a time lag between shots (when compared to an analog SLR). Bottom line is...Very good value for your money in the 4 MP range. I bought this at Officemax for 119.00 2 days ago. I do like the camera in general, But the software is really confusing. It took me a while to figure out how to save edited images and find where the camera saved them. Also the camera is a little confusing. There is alot of stuff cluttering the LCD screen you have to press a button to make it so it is all gone, but when the camera turns on again it is there. Also the delete function is hard. You have to go into the playback mode, then press menu then select delete, then select delete one, then it brings you to a screen displaying all the pictures, find the picture you want press ok to delete, THen press Yes when it asks are you sure. The processing time on the camera is slow. But for 119.00 it is a great deal. With an amazingly fast start-up time of just 0.7 seconds, the Minolta Dimage G400 is ready when you are to capture life's most precious memories. The compact and stylish G400 also features an all-metal case, a 4.2-megapixel resolution, 3x optical zoom lens, movie mode with audio, and compatibility with both SD memory cards and Memory Sticks. With the Dimage G400's 4 megapixel resolution, you can capture 2272 x 1704 pixel images for photo-quality 11 x 17-inch enlargements. It also offers 1600 x 1200 (2 MP) and 640 x 480 (VGA) resolution modes. The 3X optical GT Hexanon zoom lens is comprised of seven elements in six groups to provide sharp, high-contrast images. With a focal range of 5.616.8mm, the lens is equivalent to a 34101mm zoom on a 35mm camera and it covers everything from scenic landscapes to interiors and group shots to portraits and detailed close-ups. It also has a 2x digital zoom. The Dimage G400 has a newly designed signal-processing engine with a 0.7 second startup time. You can turn the camera on, focus, set the exposure, capture an image, and turn the camera off in 1.5 seconds. The camera can also focus and determine the exposure in approximately 0.2 second, and the shutter-release time lag is approximately 0.03 second. The Dimage G400 employs Rapid AF to ensure sharp images with minimum delay. Rapid AF uses a passive AF sensor to instantly estimate the distance to the subject and the camera's CCD to determine the precise focus point. The e-mail copy function creates a 640 x 480 or 160 x 120 JPEG copy of an image on the memory card so that it can be easily transferred over the Internet. The Dimage G400's versatile flash modes let you shoot in a variety of lighting situations with confidence. In automatic mode, the flash fires whenever it's needed. If the main subject is backlit, you can select fill-flash for additional subject illumination. The Dimage G400 features a dual card slot system for expanded image storage; Memory Sticks and Secure Digital (SD) memory cards can be used alone or in combination. A 16 MB SD card is included with the Dimage G400, and it can store approximately 16 images shot in Normal, 4-megapixel mode. Images can be downloaded to either a Mac or PC via USB 1.1, which means the camera can be connected to any USB-based Windows Me/2000/XP and Mac OS 8.6 or later computer without installing any software. The camera is powered by a rechargeable lithium-ion battery (BP-600). It measures 3.7 by 2.2 by 1.2 inches and weighs 5.1 ounces excluding the batteries or 6.3 ounces when loaded with the battery. I was trying to decide between this camera and the Canon S400. I chose the Minolta G400 and don't regret it at all. The main reason to choose this camera is its speed, weight, AND price. This camera is MUCH faster than the canon. The startup time is practically zero, there is virtually no shutter lag, and the shot to shot time is fast as well. I found the canon S400 to be much slower. The autofocus routine is good. It is also much lighter (in weight) than the canon which is nice. The Minolta also has much more in the way of manual control. The one thing that I wish this camera had is the panoramic option where you can stitch several pictures together using the LCD viewfinder (the canon has this feature). But I can do this with my computer later so this is not a bid deal. Some people have said that the menu system is not organized well - I agree, but it is really not that bad. I like that the battery charger (which comes with the camera) is external to the camera so I can charge a battery while still using the camera (I have 2 batteries). So with the exception of the panoramic feature of the canon S400, I could not find a reason to spend the extra $ to buy it over this Minolta G400. And now that I have it, I am glad I got the Minolta. 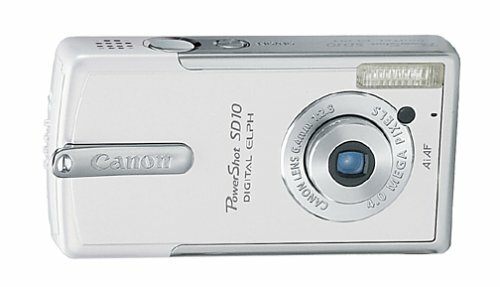 My feeling is that the reason the canon S400 is so popular on Amazon is that people see that other people have bought it, so they buy it. P.S. 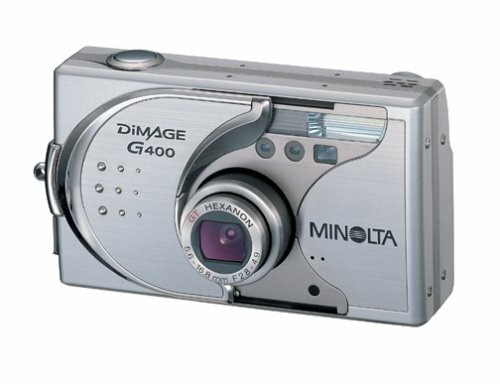 the Minolta G500 is actually an OLDER model than the G400 even though it is a 5M pixel. I've had this camera (Konica Minolta Dimage G400) now for over two months and I'm very happy with it. The camera was actually developed mainly by Koncia before Konica and Minolta merged. It's basically a rebranded Konica Revio KD-410Z. I've compared with three coworkers who bought the Sony DSC-T1: The Sony is about as fast, smaller and sleeker, but performs much worse in low light conditions. I've seen quite a few pictures that were shot indoors and the flash didn't manage to properly light the scene. I don't think that should be happening with a camera that sells for $150 more than my camera. What tipped the scale for me is the overall quality of pictures and the absolutely amazing speed of the camera. In general I found that people talk too much about megapixels.What matters much more than actual megapixels (once you've moved past two megapixels) are the optical properties of the camera like lens, autofocus system, etc. The pictures I've taken so far were almost all very crisp with radiant colors. The colors were usually a bit too warm and could sometimes benefit from a bit of adjustment in Photoshop, but were excellent otherwise. Overall I'd say the camera has some flaws but is a very nice little point and shoot camera that offers lots of manual adjustments when you're ready for them. And given the current market prices for this camera this is one of the best buys out there. That's why I'm giving it five stars despite having some flaws. Oh, and I forgot to mention: Don't fall for this camera's big brothers the G500 and the G600! As I understand it, they don't have the fast passive autofocus system the G400 has and the G600 even has a crippled movie mode. And while we're speaking about the movie mode: 320x240 at 15 frames per second is not quite state of the art anymore and shouldn't be a factor in your buying decision of any digital still camera. If you insist on a decent movie mode, go and buy a digital camcorder. You'll have a lot more fun that way with ample storage space and a working optical and digital zoom. How strong is the flash? Sorry for using this as a question board, but how strong is the flash for this camera? The specs say 6.2 feet, which is about 2/3rd that of the minolta xt, and 1/2 of the canon s400. I want to get this one, but the flash is the one thing that is totally putting me off. p.s. I promise to edit this review once I get this camera. 1) It forces too rigid controls on you for some of the more common things. Such as, take a photo and decide you don't want to keep it - to delete it you must first switch out of record mode and into play mode, access the menu, navigate to the memory option, locate the photo you just took and delete it. Then, to take another picture, you must switch back over to record mode (switching modes takes about .1 seconds to flip a switch, but for some reason the camera wants an addition 5 seconds to run a self-test or something before you can use that mode). 2) The LCD screen is not the greatest I've seen. Not bad, but just barely "good" quality. Playback of video or stills can sometimes result in noise, looking like mosaic squares or the occassional line. However, this is only on the LCD screen of the camera - videos and stills sent to a PC monitor, TV screen or printer (as appropriate) are all excellent quality. I tried to replicate the problems quoted here in a previous review. I could not. I surmise the problems must have been due to either viewing on the LCD screen (already noted as being just barely "good") or due to bad recording media. Specifically, I ran a panoramic recording of 2 rooms. Both were intentially lit in one corner but not the others. Both had large areas of white and dark patches, shadows under shelves and cabinets, objects up close and far away. I ran several pans of each room at different panning speeds. The ultimate speed was 1 revolution in 3 seconds - things moved by FAST! The camera performed excellently with respect to exposure, rapidly changing with lighting conditions. Both rooms included the lighting source in part of the pans (i.e., I filmed the light bulb as it was burning). No problems. I could even read titles on books in the shadows of my bookshelves. I noted a slightly better result by using the "sports" setting rather than the automatic exposure, but the AE was still very good. Of course, focus was a problem on the last, fast pan. 360 degrees in 3 seconds is too fast for any camera to keep up with. At more reasonable panning speeds, the camera focused absolutely A-OK.
As to a verical streak being recorded on zoom, the zoom is purely optical. The digital zoom value (up to 800x) must be set before recording starts and cannot be changed during recording. Any zooming during recording is optical, therefore, any vertical streak is probably the result of either (a) bad recording media or (b) the playback was on the LCD, not a PC monitor or TV screen. In short, the streak was either "real" and on bad media, or a "ghost" existing on the LCD but not truly recorded on tape. For photos, color content is wonderful, if and only if the proper lighting is chosen. If you're indoors, choose indoors. Otherwise you will likely get a bit of blue or orange cast. Any PC software can adjust this, but using the correct setting is preferable. 4.3mp using superfine detail yields exceptional quality. Compared to a Canon G3's best photo, the DuoCam is noticably better. The camera is complex. Not complicated, but complex. People who don't read manuals should not buy this camera. For one camera to own and use, or if you need a travel camera on vacation or something, this is the one. Sure beats carrying a camcorder AND a still camera, and all in the size of a small to medium camcorder. It's not professional quality (then again, it's not $12,000 either), but it's getting close. Record video on tape or mediastick. "Snap" low-res stills to tape while in camcorder mode. Copy stills or individual frames from tape to memorystick. Continuous stills at 3/second. Lots more. Great quality, tons of features. The video quality indoors is absolutely horrible, even with the night shot features, and every possible combination of settings, etc. I tried really hard to find reasons to keep this camera. But in the end, the video quality was too horrible to justify it as a $... digital still camera. Outdoors, the video was OK producing ever so slightly washed out colors, but here is the real problem. Moving between light and moderately dark areas of a small room produced horrible video. During playback you either got something that looked like pure night or the sun all in one room. The video recorder does not gracefully adjust between light and moderately light areas of a room. Occasionally when using the zoom, a pure white line would be recorded vertically as part of the video!!!!! Now for the camera. One thing that annoyed me after a few minutes was the constant manual flipping of half of the device between still and video. I did a comparison between the Samsung still digital camera and my Sony 3.34 MP camera that I already owned. Disappointment again. Horrible color from Samsung (washed out colors). I was not impressed with the quality after comparing about 10 different pictures of varying light, indoors, outdoors, etc. Hands down the Sony 3.34 MB won. I returned the Samsung camera and bought instead the Sony TRV70 for about the same price (I would like to have tried the TRV80 but $... more was just not in the cards for an 1" more LCD). What a difference. When it comes to color and light (indoors especially), Sony seems to have those two figured out. Awesome video recording indoors with the Sony. All around the video was so much better with the Sony. The still are not as good as my Sony 3.34 but if you can live with reduced picture size, the quality is pretty good (plus no manual flipping of half the device). I'll still probably take both the video and the camera on the next trip (pending cooperation from the wife). Really, if you ignore such frills as Bluetooth and Internet connectivity from within your camcorder (!!! ), you can probably buy something much cheaper than the TRV70. The smallest Digital Elph yet, the petite and undeniably chic Canon Powershot SD10 packs a lot of digital photography power. It features a 4-megapixel resolution, movie mode with audio for up to 3 minutes of video, 5-point AiAF, and a fixed focus lens with 5.7x digital zoom. This model comes in stylish silver, but the SD10 also comes in white, bronze, and black. 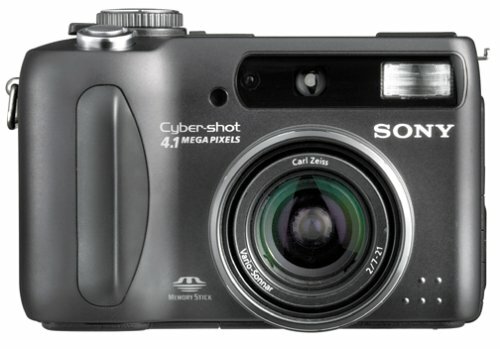 The PowerShot SD10 offers a 4-megapixel CCD sensor that produces images up to 2272 x 1704 pixels for photo-quality 11 x 14 inch enlargements. Other resolution modes include 1600 x 1200, 1024 x 768, and 640 x 480. The fixed focus lens has a focal length of 2.8mm. The SD10 enables you to get closer to your subject with its 5.7x digital zoom. The SD10 also features Canon's nine-point AiAFsystem for focusing accuracy and shutter speeds of 15 to 1/1,500 second. The unique feature of Sony's CD400 Mavica is a built-in mini-CD recorder, a clever solution that simultaneously provides affordable portable memory and long-term archival storage. The camera also features a 4-megapixel sensor, a 3x optical zoom Carl Zeiss lens, a jumbo 2.5-inch display, and long-life rechargeable lithium-ion battery. The CD400's 4-megapixel sensor captures a tremendous amount of detail, allowing sharp 11-by-14-inch prints with pixels to spare. If you're currently using a high-quality 35mm point-and-shoot, expect to see as much detail in your digital pictures as you currently see in your film photos. A 3x Carl Zeiss optical zoom lens (34-102mm equivalent) helps you to capture exactly the picture you want, and an additional 2x digital zoom (6x total) further magnifies your image. Remember, however, that digital zoom tends to reduce the sharpness and detail of your image, so it's best used sparingly. In low-light situations (a particular weakness for many digital cameras), a focus-assist lamp sends out a small patterned beam to help the camera accurately determine distance. To save space, there's no traditional optical viewfinder to look through. Instead, to compose your images or review shots you've already taken, the CD400 uses a 2.5-inch color display. The advantage to using the LCD to frame your shots is that the screen lets you see exactly the picture you'll capture. The disadvantage is that you can't turn off the screen and just use the optical viewfinder to extend battery life. Fortunately, the included rechargeable battery holds a relatively good charge. The engineers at Sony have gone out of their way to make it as easy as possible to share your images online. For example, the e-mail mode stores a lower-resolution version of your picture on the disc in a separate folder from the full-size version. This compact file lacks the detail of the original, but has a small file size, making it ideal for e-mail attachments. In addition, a video e-mail mode captures highly compressed, less-detailed movie clips that are also small enough to easily e-mail. With the time, expertise, and the right software, owners of any digital camera can create these more compact files on their home computers, but Sony saves you this trouble. More advanced photographers will appreciate manual focus, a 14-bit A/D processor that captures more gradations in color than most digital cameras, and an uncompressed TIFF mode for recording the highest-quality photos. The CD400 uses Sony's excellent InfoLithium battery system, which not only holds a respectable charge, but also displays on screen how many minutes of power remain. Both the battery and the charger are included. Because the battery is unique to specific Sony models and can be nearly impossible to find when on the road, we strongly recommend getting a spare if you're planning to take the camera on extended outings. In movie mode, the camera captures video clips with sound at resolutions up to 320 x 240 pixels. Unlike most digital cameras, the length of each video is limited only by the amount of memory left on the CD. The limited resolution of these clips guarantees that this feature won't replace your camcorder, but it's perfect for when you just want to capture a quick movie and e-mail it to a friend or relative. With a traditional digital camera, images are stored on memory cards, then transferred to your computer via a cable or card reader, and ultimately archived by recording on a CD-R or other high-capacity medium. Sony's CD Mavicas simplify this process by recording images directly to CD, using a 3-inch miniature CD recorder integrated into the back of the camera (hence the camera's rounded shape). These discs are substantially smaller than traditional 5-inch CDs, and only hold about one-fourth as much information (156 MB instead of 650 MB), but this is still enough space to store over 60 photos at the camera's highest-quality compressed mode. Each disc costs a couple of dollars. To transfer pictures to your computer, simply remove the disc from the camera and insert it into your computer's CD-ROM drive. Unlike images recorded on memory cards, pictures taken on a CD-R are permanently burned into the disc, instantly providing a digital "negative" for archiving your photos. If you prefer to transfer your images in the traditional way, just use an erasable/re-recordable CD-RW disc and connect the camera to your computer with the included USB cable. After transferring the images, you can erase the CD-RW disc to ready it for another batch of photos. At 5.5 by 3.75 by 4 inches, and 23 ounces, you won't slip this one into your shirt pocket, but it's still one of the smallest disc-based cameras available. The CD400 fits nicely into most SLR camera carrying cases. 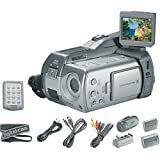 The package includes the CD400 camera, NP-FM50 battery, AC-L10 cable for in-camera charging, six 3-inch CD-R discs, one 3-inch re-recordable CD-RW, shoulder strap, AV cable, USB cable, and software on CD. I've used this camera over the past seven months and I become more impressed with it the more I use it. The expanse of capabilities and options with the camera allows for taking excellent pictures under nearly any conditions. The manual as well as the shutter and aperature priority imaging modes allow you complete control over the imaging process. I've taken pictures of everything including northern lights at 2 a.m., my cats in near complete darkness, portrait shots of subjects in dark rooms standing in front of bright windows, and they've all turned out wonderfully. For printing, I've used both my home printer, and a professional photo store, and prints up to 10x12 have turned out perfectly with no degredation at all. Several recommendations if you buy this camera. Don't waste your money on Sony's cd-r disks. I've used verbatim, memorex and k-hypermedia cd-r with no problem. They're certainly much cheaper, and they all hold 185 MB while the Sony's only hold 156 MB. I would also suggest that you buy the Sony external flash for the camera. While the hot shoe will accept other brands of flash, I've been very impressed with the improvements to my pictures since buying the sony flash. I would also recommend buying a small (3-6") expandable tripod that will fit in any case. This allows you to set up longer exposure shots for dark environments, as well as for using the timer function on less than ideal surfaces. If you're looking for huge storage (and archive) capabilities, excellent images, and complete control over your picture taking (minues the zoom limitations), then this is certainly the camera for you. Everyday I think it is worth the price I've paid, and with a new baby in the house, being able to take several hundred pictures in the first few days and email the "best-of" off to the grandparents is certainly a plus. Got mine 3 days ago! It is simply a marvel of technology and represents good value for money considering that it comes complete with a superb long-lasting Lithium-ion battery pack, International 110-240V 50/60Hz charger as standard for when you're travelling (you still have to buy adaptors to fit the sockets in other countries), and 156MB+ storage capacity on the CD-R/ CD-RW for about [price]. The camera and its' extensive features are easy to use after only a few hours of ownership. Slip the 3"CD-R or CD-RW into most CD-ROM drives and immediately access your photos in Windows Explorer without the aggravation of cables and card readers. The only blemish is the meagre 3X optical zoom. For anybody in Europe where this camera sells for about [price] before adding 15 to 20% sales taxes to give an average retail price of about [price] , this camera is an especially great buy. But the Sony is BIG! OK, it can't be any smaller than the 3" CDs it uses for storage. But somewhere in Sony's system of R&D, having established that they had a superb product concept, nobody then passed on the design to the Sony boffins who specialize in miniaturizing everything. The result is simply that you have a great camera but which is simply GIGANTIC compared to anything else out there! I should have spent more and bought a Fuji Finepix S602 with a 1GB IBM microdrive. Anybody want to swap? As an avid photographer, I wanted a digital camera that had the complicated lense features of a regular SLR without the complications of the various storage disks/cards/drives that plague most other digital cameras. This camera looked like the one. It burns to a mini cd, and therefore the orginal images are available immediately on disc without software or cords. It has mini video functions as well as other high tech possibilities. Nice idea, but it failed. This camera is still relying on new burning technology, so the camera is still extremely fragile and definately not portable. I've had the camera 10 months and I've had to fix it three times. First the burning lense broke... any slight shake or bump will cause it to go off course, making the entire camera non-usable. As there is no harddrive within the camera, if you cannot burn to cd then you cannot take pictures. Then the photo lense got jammed (over the course of a month--so photos picked up a blur after a little while) and was unable to function, although I was still able to view pictures. After paying to REPLACE both parts (in excess of $150 each) the burning lense broke again after two months. If you're planning to only take the camera out on special occasions, fine, but if you're planning on doing any sightseeing with it, putting it in a bag and taking it anywhere, it won't hold up. How do you make a good camera even better? With more pixels and more power. 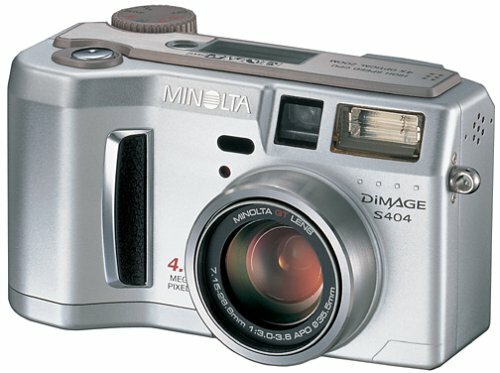 Think of Minolta's DiMAGE S404 as a "souped up" S304--there's a new 4-megapixel sensor, plus a faster processor for improved performance, but otherwise, it's virtually the same as their nicely designed 3-megapixel point-and-shoot. An all-glass 7.15-28mm lens (35-140mm in 35mm equivalents) with 4x optical zoom offers more power than the 3x lenses found in most digital cameras. An anomalous dispersion element and twin double-sided aspheric elements work together to minimize chromatic aberrations and reduce curvilinear distortion, giving you crisp, accurate, edge-to-edge imaging. In addition to the optical zoom, the camera includes an additional 2.2x digital zoom. This feature merely crops the edges off your picture and blows up the remaining image, enlarging your picture at the expense of image quality. Most photo-editing software will let you do the same thing to your picture once you've transferred it to your home computer, so it's a camera feature that's not often used. To compose images, watch the 1.8-inch, 122,000-pixel color LCD monitor, or use the optical viewfinder for traditional image composition. For professional results with the point-and-shoot operation of the S404, you can choose from five preset modes: macro, portrait, landscape, night portrait, and text. For more creative shooting, use a wide variety of adjustable features, including manual focus, selectable ISO, custom white-balance controls, exposure compensation and bracketing, and a digital-effects control that allows adjustment of color saturation, contrast, and sharpening. There's also a histogram function, a feature still found primarily on high-end digital cameras. A histogram is a graph displayed on the screen indicating the relative proportions of different levels of brightness in a shot you've taken, instantly letting you know if you've captured your shot with the correct exposure. A movable focus point allows for off-center compositions. Multisegment metering technology helps to provide accurate exposures. Four resolution modes cover the range from film-quality photographs to images for e-mail. Movie mode allows 60 seconds of live action and a voice-memo feature helps identify your work. Four AA batteries power the camera (an optional AC adapter is also available if you're planning to do lots of studio photography). The benefit to using standard AA batteries instead of a custom proprietary battery is that AA batteries are widely available, so missing a once-in-a-lifetime shot due to dead batteries won't be an issue. The downside is that a digital camera will kill a set of alkaline batteries extremely quickly, especially if you're using the camera's LCD display. If you're an occasional photographer, you can get by with high-power disposables, but if you plan to take more than a handful of photos a month, a set of rechargeable batteries (scroll up to the Accessories section) is a virtual necessity. For improved performance, the S404 has a 32 MB internal buffer for temporary storage of images. This improves shot-to-shot speeds and performance in continuous shooting mode. 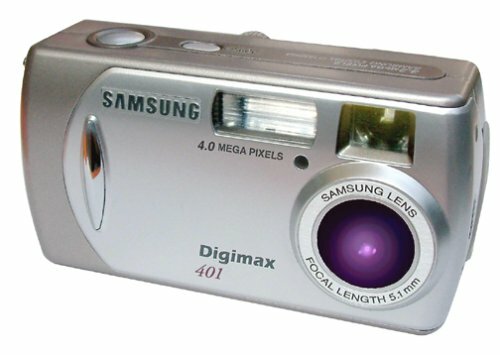 The DiMAGE S404 comes complete with 16 MB CompactFlash card, A/V cable, USB cable, Minolta Image Viewer Utility CD-ROM, four AA alkaline batteries, lens cap, and neck strap. Not to go over the top, but this is a great camera! This camera is an upgrade for me and I'm embarrassed by how much I paid for so little camera last time around. So, I chose carefully and have not been disappointed. Best shooting so far has been at the Tidal Basin last Friday just past the peak of the cherry blossoms. The camera took some amazing shots of the Washington and Jefferson monuments surrounded by the pink splendor. I displayed the shots on my big screen TV to the whole family without any problems. Color was perfect and the automation in this camera really frames the shots well. I'm a so, so photographer so this is a big plus. Next I tried it out at the Dolphin show up at the National Acquarium in Baltimore. The results were excellent, especially the zoom. I caught the dolphins in the midst of almost every trick including the huge leap to the top of the auditorium to touch the ball. I also took some incredible photos through the glass of the seahorses. The exposure took some tweaking but I was able to figure it out with less than 10 shots. The family oohed and ahhed when they saw them. For those of you who own Minolta and have grown used to the interface and quality of features, this is a no-brainer. For the price, I expected a bit less and have been consistently amazed by the quality of pictures it takes, especially in automatic mode. My SLR has been sent to the cabinet until I really need it for more complicated shots. Be sure to have at least 2 sets of batteries and keep them in your bag. Each trip I exhausted the batteries and had to change them. Also, for the $$$, I recommend a 256MB card so you can take 100+ high quality images. That's what 4.0MP is all about. This camera takes wonderful pictures! I took it to the zoo on an overcast day. The auto controls did a great job of bringing out the color. I was able to shoot through glass, with the flash on, with no glare showing up in the photo. I got some great aquarium shots this way. The macro mode is amazing! The 4 megapixels allow for a lot of cropping to get terrific close-ups, especially when combined with the 4X optical zoom. I am still learning how to use the manual focus controls, but can see that this camera has a lot to offer for both the experienced and novice photographer. I will warn you to use NiMh batteries and take a couple of extra sets with you if you plan to do a lot of shooting. This is true of any digital camera though. First off I am not a camera expert, go to www.steves-digicams.com, www.dcresource.com or www.dpreview.com if you really need all the techie details. In any case... its snappy (no real awful delays) its not too expensive, its easy to use, does mini-movies w/sound and just works. Not too small, has a nice grip. Doesn't weigh too much (I caried it around Renisiance Festival all day no trouble). I know it has a lot more features but I don't use them (I will tweak digitally on the computer a bit but not on the camera). Preview is a great but that is true of all good digicams. Resolution is great, color is great, and in general contrast is very good (a bit dark but I keep messing with the flash settings and I can fix it on the PC), when I leave it alone it seems to be much better). The zoom is easy to use but it can REALLY zoom (both optical and digital) so be careful. The multi-shot is great, the flash seem good and seems to reduce red-eye. 1. Get a large CFRam card (I have a 128) and get a few hundred shots. 2. My CFRAM card is a little slow (check the speed when you buy). 3. Get good rechargable AA batteries (2 or 3 sets). Spend a few more bucks on good ones, you won't regret it (and make sure to get a car charger for trips). 4. In "automatic" mode make sure you focus on what you want your picture focused on (its very easy but I miss the target once in a while and focus is out). 5. Watch the zoom (optical is great) but you can't see for sure through viewfinder with digital zoom (of course) so keep it in mind you need to look at LCD display when digital zooming. 6. You might want a stand (tripod) for family pictures and such. I'd previously purchased a lower-end digital camera/MP3 player, and although I was happy with it, I wanted something that was going to take good pictures that I could make prints with. After a little research I ran across this camera and liked all of the features I was seeing. I bought it and have been using it for almost two years now. The 4 MPs and optical zoom were both very important in my decision. The quality is absolutely great. You can use it right out of the box as a point and shoot with the automatic setting and most of the picture come out excellent. The best thing though is that the camera also allows the a wide range of manual settings. As I learned more and more about photography the camera grew with me and allowed me to tweak my pictures more and more. For me, that's where the camera is the strongest: It can take quick and easy automatic shots when you want them, but it is very flexible and customizable when you are trying to take more professional or tricky shots. The battery life is decent. I use two sets of rechargable batteries, and if I bring both sets, I've never needed more. And I take a lot of pictures on an outting. If you use the highest quality setting, the save time can get a bit long, as it creates large 5 or more megabyte .tiff files, but if you're worried about that, you can step down a quality setting to jpegs, which are still excellent quality. 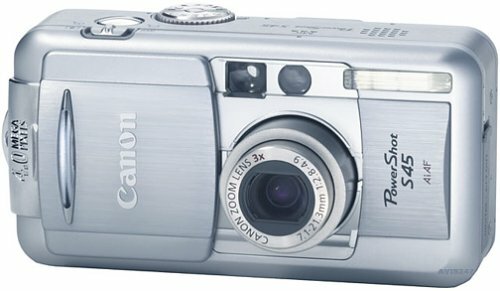 Following up on their S40, Canon's Powershot S45 offers the same aesthetically pleasing metallic chassis with the powerful innards to go along with it. With a 4 megapixel CCD, images taken with the S45 were deeply detailed and could be easily printed out at 8 by 11 and larger without any loss of resolution. Although the 3x optical zoom is average for mid-range cameras and above, it still let us get in a bit closer to our subjects when snapping shots. Improving on the S40, the S45 now captures video clips--complete with audio--of up to three minutes in length (although you'll probably want a larger storage card than the 32 MB CF card the S45 ships with). There are also easy-to-use video playback and editing controls on the camera itself. A unique design, the metal lens cover of the S45 serves as the on/off switch--slide it open and the camera turns on, slide it closed and it powers down, with the lens folding out or back into the frame of the body respectively. You can't put any accessory lenses onto the S45 because of this design, but you'll also never try to take any pictures with the lens cap on. The rechargeable batteries lasted for well over 200 shots before needing to be plugged in. And that's with the LCD on--Canon promises a life of over 500 without the LCD. Speaking of, the bright and large 1.8-inch LCD took up nearly half of the back of the S45 and followed the lens quickly while using it for framing shots. The Canon PowerShot S45 was a terrific small digital camera when it was introduced, but the digital camera market advances quickly and this model has been surpassed by Canon's own S50 (5 megapixel in the same body only in high-tech black). Serious photographers seekng a digital would turn to Canon's EOS Digital Rebel. This is a good camera if you want lots of features in a small package without paying a lot of money. 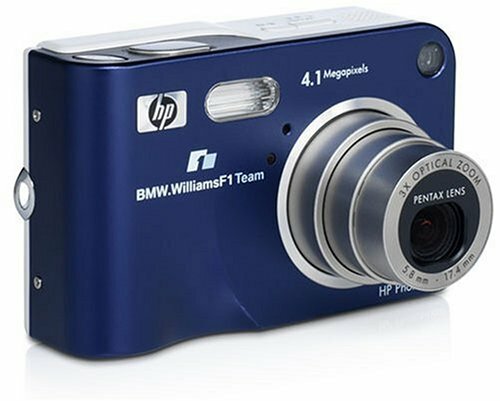 Features begin with the generous maximum 4 megapixel image size (you can make them smaller to conserve space on the CompactFlash card). Several modes are available to you such as Sports (high shutter-speed and high resolution shots), Portrait, Night, etc. You can put it in complete Idiot Mode (okay, Automatic mode) and let it select your shutter speed and aperture, or you can pick one or the other and let the camera pick the missing one, or you can go full into Manual mode and pick both. There's even a Movie mode, complete with sound (although the product info above suggests this is new to the S45, this was available on its precursors the S30 and S40). These video clips are 320 x 200 pixels. This small camera fits in a purse or shirt pocket easily and won't get in the way if you're shouldering it in a case (not included). But you pay a price for the small size: the optical zoom is limited to 3x. And unfortuately, the S50, like all the PowerShot S family, starts out at a focal length of 11mm, which is a very wide-angle view. Even at 3X optical zoom you will only come in to 55mm, often not as close as you'd need. There is a digital zoom, but so what? Crop your picture in software later rather than play with that silly feature. But getting back to the range, I found it insufficient for shooting across a large room. If you work closer in this won't be a problem, but 55mm is not a good focal length for shooting children, who stop what they're doing when they notice you right next to them. The sliding door that covers the lens (and turns on the camera) seems flimsy and can cause problems. My 3YO niece got ahold of my S40's (exact same body as the S45) and ripped the door off. I was able to reattach it but now it's a loose tooth, waiting to fall off again. Even under warranty, my choice was to send it back to Canon for 12 weeks or live with it. I couldn't live without the camera, so I kept it, loose sliding door and all. I've just learned not to lend it to people who can't baby it; a good push and that door is off the camera again. One of the S45's limitations is a slow shutter response. I can't tell you how many shots I've missed using it; I frame it lovingly, I see the perfect moment, I shoot... but no score. The people have moved on, the sun has set, the universe suffers heat-death, and finally the shutter clicks. If you want a fast shutter then you must have a digital SLR, as almost all the compact-style digital cameras such as this one have the delayed shutter issue. Another note of annoyance on the PowerShot S family: they come with a wrist strap but no shoulder strap. I don't know what use a wrist strip is for a camera; if I'm not using it then I want my hands free. I bought a generic shoulder strap but it wasn't a great fit. At least Canon should offer one as an extra-cost accessory. I still give this camera 4 stars for putting so many features in such a small package. The pictures are reasonably good, and at this size you can crop plenty out and still print good 4x6 inch images. The PowerShot S45 comes with software, but you'll probably want to buy your own image editing package, such as Photoshop Elements. The one provided is fairly limited. Useful software includes PhotoStitch, which allows you to make your own panaramic style images from a series of linked shots. The included 32 MB CompactFlash card is also too small for typical use, so plan on buying a bigger card. Also plan on buying a second battery. Compact & well built camera takes great pictures! 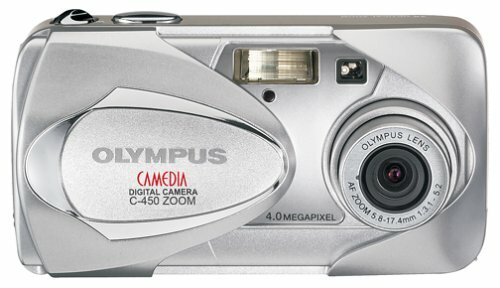 After extensive research, I decided on this camera as a replacement for my older 2 megapixel Olympus 2040. I have been very impressed with it so far - it seems very well built (sturdy), is small enough to fit in my coat pocket, and takes great pictures. The telescoping lens extends and retracts very quickly making it easy to take a picture on a moment's notice - this was a problem with my old camera - it was too slow. When researching the camera, I was trying to find one that took "AA" batteries since they are much cheaper (NiMH). However, the Canon NB-2L battery isn't too expensive if purchased from a third party retailer (I got a generic one for [$$]). Also, the included charger is very small and portable with built in retractable AC plug - it's lightweight and easy to throw in a bag and take with you. The camera records the orientation that each photo is shot with in the EXIF header, and if you use the bundled Canon software to download the photos, it auto-rotates them for you. This is very handy. Unfortunately, it doesn't work if you use other software such as iPhoto or Image Capture. The mode dial is very handy - it has enough settings on it (ie, automatic, manual, shutter priority, aperture priority, night shot, portrait, movie mode, etc.) that you can quickly flip to the one you want. My old camera required the use of menu systems to set most of these modes - the dial is much faster. The camera features a stitch mode which allows you to stitch together multiple pictures to form a panorama. When in this mode, the camera shows you the last picture you took (offset to the side) allowing you to roughly overlap 1/3 of the next picture with the previous one. Using the included stitch software, I was able to easily make a Quicktime VR movie - pretty cool. You can also make panoramas with this mode, and unlike some manufacturers (Olympus), this works with any brand of CF card, it doesn't have to be the manufacturer supplied one. The only drawback I've found for this camera is the lack of a USB auto-mounter feature ("Mass Storage Device") which many other cameras have. This feature allows you to just plug in the USB cable to your computer and have the camera auto-mount on your desktop like any other removable disk. I wish Canon would include this feature since it enables you to completely bypass software for the import process. This is something I can live without though - the other features make up for it. Overall, a great camera which I would highly recommend! My S45 has broke twice in the 6 months I have had it. I am very disapionted. I've always bought Canon but will look somewhere else next time! Very poor quality. Happy with the features, functions, and performance of the camera in all except one area. The red eye reduction function is useless. I'm aware of the physical reasons behind red eye, and undertand it can never be completely eliminated. But most of the photos I've taken of friends and family are absolutely terrible when it comes to red eye. I had a compact Pentax zoom 35mm before this, and the red eye reduction with that camera was outstanding. Cannot undertand how many outstanding reviews I read about this camera with any mention of it's weakness in this area. If you ever plan on photographing someone's face, look for another camera. I'd been waiting for the five megapixel version of the digital Elph, but when the first reviews of that camera came out, I was a little disappointed. It seems that Canon is having a bit of a problem cramming so many pixels on such a small sensor, resulting in noisy images. What does this mean? It means that the four megapixel cameras are taking better looking photographs with smaller file sizes. I decided to get the S45 over the S400 after a little research. The S400 will probably suit most users fine, but if you want to have manual control while still retaining a reasonable camera size, the S45 is great. The S45 also has the capability to shoot in RAW mode and the S400 does not. This allows you to store images in an uncompressed state, with all the data from the sensor intact. I wanted a camera that I could grow into, not a camera that I would completely master in an afternoon. Right now I'm using it in auto mode and experimenting with the many manual capabilities. Downsides? While the camera is small, it doesn't fit comfortably in your pocket. If this is really important, buy the S400. After all, you won't get a shot if the camera isn't with you. I don't mind carrying a camera, so it's no big deal. 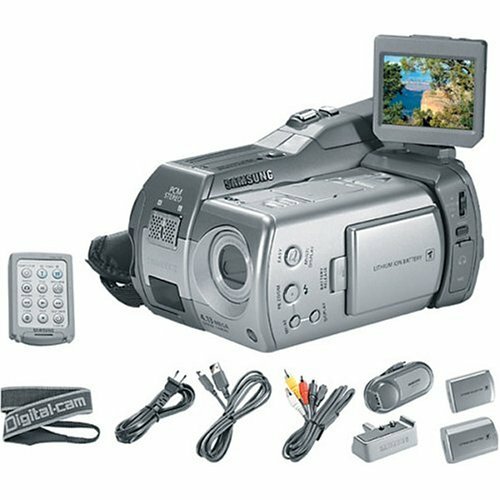 The Mustek MDC-4000 is an affordable, multifunctional digital camera that can also be used as a digital video camcorder, voice recorder and PC camera. It features a 3.1-megapixel resolution (2048 x 1536 pixels), but it also offers an in-camera enhancement up to a 4-megapixel resolution (2272 x 1704). It offers 320 x 240 pixel video resolution at 25 to 30 frames per second (fps). Store images, video, and voice notes on the 16 MB internal memory, or use optional Secure Digital (SD) or MultiMedia (MMC) memory cards. 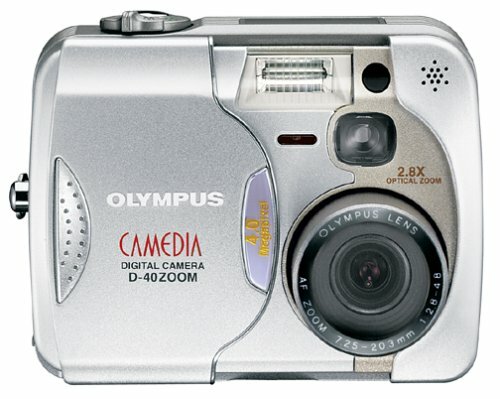 Other features include a 4x digital zoom, 10 second timer, and a 1.5-inch LCD on the back. PhotoExpress SE: Tailor-made software with integration capabilities for enhancing, publishing, and animating your imaging creativity. Photo Explorer: A simple and pwerful interface provides a complete solution for acquiring, viewing, organizing, adjusting, and sharing digital images. Cool 360: Lets you quickly and easily transform a seris of photos into 360-degree or wide-angle panoramas. Contrary to what it leads you to believe on this webpage, this item is available online only. My experience is poor image quality, especially in high res shots. I'm not aware of a Taiwan company making products in the USA?.... I'd rather put in $20 more for one with an optical zoom with better reliability. My husb and I just bought this. When I got it in the mail I was scared it would be horrible because it was SOOO lightweight. Turns out it's everything we wanted! It's easy to go thru the modes (i.e. video to camera, etc), the AA battery it needs lasts long, the quality is excellent, it came with a bunch of useful products, AND it's easy to carry where ever you go. I'd definitely reccomend this product for parents. It takes a second to turn on and I have taken wonderful photos and videos of my toddler. Inside, as well as outside. Oh and as for some idea of it's memory capability: the 16 MB internally held about 2 min video and 20 photos. Toshiba's flagship PDR-M81 digital camera combines 4-megapixel clarity with a Canon optical zoom lens and a full complement of features. If you're looking for a high-performance camera at an affordable price, the M81 is a great choice. In its default mode, the camera is as easy to use as any point-and-shoot, but for photographers who want more creative control, the camera offers numerous advanced settings, including aperture- and shutter-priority modes, shutter speeds as slow as 15 seconds, a multimode flash, adjustable white balance, exposure compensation, and macro (for objects as little as four inches from the lens). Shots can be captured in black and white, sepia, vivid color, or standard color. For power, the camera uses four AA batteries or an optional AC adapter. The big benefit to using standard AA batteries instead of a custom proprietary battery is that AA batteries are available virtually everywhere in the world, so missing a once-in-a-lifetime shot due to dead batteries won't be an issue. The downside is that a digital camera will kill a set of alkaline batteries extremely quickly, especially if you're using the camera's LCD display. If you're an occasional photographer, you can get by with high-power disposables, but if you plan to take more than a handful of photos a month, a set of rechargeable batteries (scroll up to our Accessories section) is a virtual necessity. To compose your image, either look through the traditional viewfinder or use the 1.5-inch color LCD display on the back of the camera. Pictures are stored on SmartMedia cards in the industry-standard JPEG format. Images can be stored at three resolutions (2,400 x 1,600; 1,200 x 800; 720 x 480) and at three levels of compression. The PDR-M81 does not offer uncompressed TIFF or RAW recording, a feature found on some other 4-megapixel cameras. The included 8 MB card holds seven images at the camera's default setting or five images in the highest-quality (least compressed) setting. The card is reusable, but if you're hoping to take more photos before returning to your computer to transfer the images, you'll want a larger SmartMedia card. Canon provides Toshiba with the 2.8x optical zoom lens. In 35mm camera terms, the lens zooms from 35mm to 98mm, and the aperture varies from f2.9 to f8.0. In addition to the 2.8x optical zoom, the camera includes an additional 2.2x digital zoom. This feature merely crops the edges off your picture and blows up the remaining image, enlarging your picture at the expense of image quality. Most photo-editing software will let you do the same thing to your picture once you've transferred it to your home computer, so it's a camera feature that's not often used. Movie mode captures movie clips at resolutions of 320 x 240 or 160 x 120 pixels. This feature won't replace your camcorder, but it's perfect for when you just want to capture a quick movie and e-mail it to a friend or relative. A video-out feature makes it easy to show your pictures in big-screen glory. Just connect your camera to your TV with the included cable to give a virtual slide show to friends or family. If you think your photos look impressive on a 17-inch computer monitor, just wait until you see them on a 27-inch TV screen. Shutter lag--the delay between the time you press the button and the moment the camera actually captures the photo--is a problem with most digital cameras, and the M81 is no exception. The camera can take up to a second to snap your picture after pressing the button, which can be an unacceptably long time, especially if you're trying to take a picture of a quick-moving subject. Most of this delay can be eliminated by prefocusing--composing your shot, then pressing the shutter button halfway down to allow the camera to adjust the focus and metering. When you press the button the rest of the way down, the shutter will snap almost instantly. The PDR-M81 comes with Image Expert software, an 8 MB SmartMedia card, video and USB cables, shoulder strap, camera case, lens cap, and four AA alkaline batteries. The camera is covered by a one-year warranty. 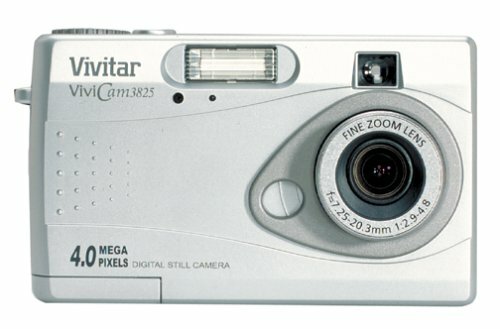 This is my first digital camera. It's very easy to use. The pictures turn out great. The usb connector makes it very easy to download to my computer. I bought the rechargable batteries and unit, which saves on money. I am still learning how to use the other features. The only negative is how to adjust picture quality, such as if something is too dark. I guess I need to read my manual again. Overall, this is a nifty lil' 3 megapixel camera. Toshiba is not really a camera mfr. Amazon sells better cameras made by camera-only mfrs. Lacks more advanced features, such as appropriate ISO step boosts. Although this camera has a lot going for it, don't get it. Amazon features many more cameras in the 3+ megapixel range that are superior. In particular, for a similar price as this one, look at the Nikon Coolpix line of excellent digital cameras. Great Camera for the value!!! Excellent features, easy to use, the best quality photos ever seen. Strongly recommended!!! Toshiba does not honor their warrantys, and will refuse to sell you parts! The tripod mount is made of cheap plastic, and will strip out in no time. When I asked Toshiba for a new one, which I even offered to pay for, they refused! This is a dishonest, predatory company that has no honor. Buy their produts at your peril...buy a Cannon instead, very good cameras, honest company. I will never buy another product from them.